It is a matter of calculating how much raw material you need to produce the actual units. If you are expected to use 1,020 metres of raw material to produce 850 units but you end up producing 890, then you have used more raw material. the calculation is 1,020 metres divided by 850 units times by 890 unit. This means that you actually used 1,068 metres of raw material. Thanks a lot indeed . I wonder if you can help me with another question in the same unit . What is the affect of attainable standard cost on both material and labour variance ? is there anything else in the question? 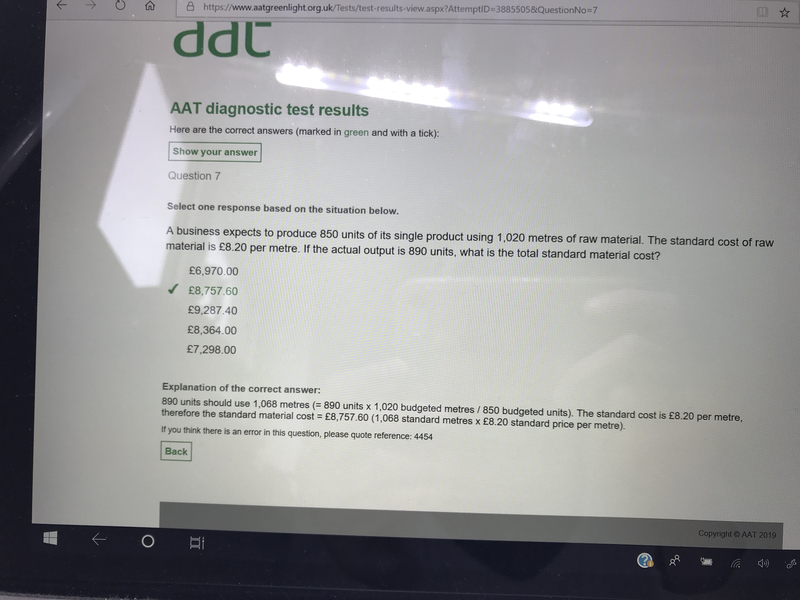 That was task 5 came in the exam they gave me a table for labour and usage variance and they wanted me to compare the affect of attainable and basic standard on both variances . I think I need more informations to help with this one.